Ender’s Game Alive puts you into Battle School with young Andrew "Ender" Wiggin, as he trains to become the general who will lead Earth against the Formics, the alien "buggers". Removed from his family at the age of six, Ender must prove his strength and his leadership, even as he fights his own doubts. The stakes are nothing less than the fate of humankind. 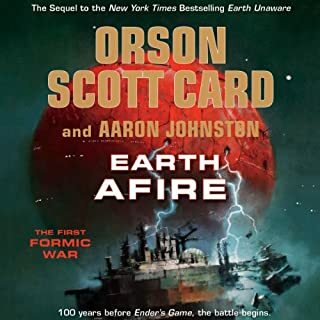 ©2013 Orson Scott Card (P)2013 Audible, Inc. I really loved all the actors and actresses playing the different characters but I think some of the dialogue was pretty forced to make up for not having any narration. Also when ever they mentioned that a certain amount of time had passed it felt really startling since there wasn't anything but a comment like "you've been here a year now" to tell me that any sort of time had passed. I've really enjoyed this story but I think I'll look for just the audiobook next time. This is an interesting change from the typical way a story is told, with a narrator describing what is going on and also performing the character dialogue. In this version, it is entirely dialogue. There is no narration whatsoever. To support this, the story has been adapted slightly so that events that were described in the book from a narrator's point of view are written in as dialogue when possible, or described after the fact in a conversation. Surprisingly, this doesn't negatively affect the impact of the scenes where these things are happening. I found the dialogue-based version of events to be even more evocative. 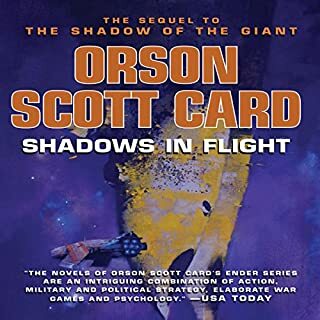 There is a lot more dialogue with Col. Graff and his fellow battle school administrators, and they do much more exploration of Ender's motives, thoughts, and actions. As someone who has previously read Ender's Game as a novel, I get the sense that this version of the story might be harder to follow for someone who is experiencing it for the first time. However, I find the cast performance adds more than it takes away. It is easier to feel empathy for Ender and the other characters in this version. 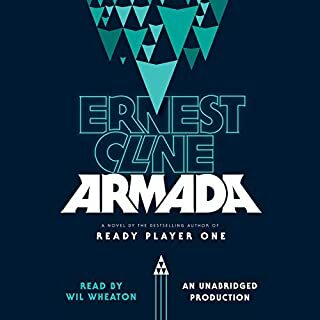 Overall, I found that as a prior reader of the novel, this was a completely new way to enjoy the story, and definitely worth the listen. Don't start with this audiobook. If you've read or listened to Ender's Game in the past, this is a new and interesting way to listen. If you've never read/listened to Ender's Game, I suggest you buy the 20th Anniversary unabridged edition. The problem I have with this version is so much of the character building is cut. Characters like "Hot Soup" have a line here or there, but if you haven't listened to the unabridged book you have no idea who this person is or why they matter in the slightest. 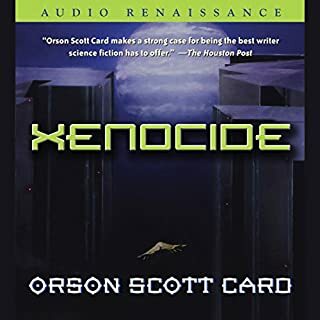 The biggest problem I have is, you just don't get the personal connection to Ender in this version that you get in the unabridged audiobook. Without that personal connection, you simply care less about what's happening and why. The plot moves so quickly you have no time to appreciate what Ender's going through and the effect it's having on him. You don't understand the torment he's going through like you should. Without that, this is simply a good listen instead of great listen. The voice acting is top notch. Stefen Rudnicki does an amazing job, as always. Kirby Heyborne does a really good job as Ender. He reminds me of a soft spoken Johnny Yong Bosch, if you're familiar with his work. I haven't been able to find a cast list for the book, but I've recognized a couple of pretty famous voices, including Martin Sheen, which is pretty cool. Some actors are better than others, but nobody does a poor job. Overall, I enjoyed this very much. If you've read/listened to Ender's Game before I definitely suggest picking this up and giving it a try. If you haven't, read or listen to the unabridged book first. 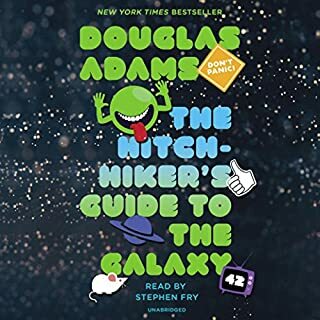 You'll likely get hooked and continue listening to the other books in this universe like I did. There aren't many Sci-Fi universes as interesting and expertly crafted as this one out there. Do yourself a favor and get into it, and years down the road when you're in the mood to listen again, pick this up and give it a try. You'll likely be glad you did, and be glad you read/listened to the unabridged book first. 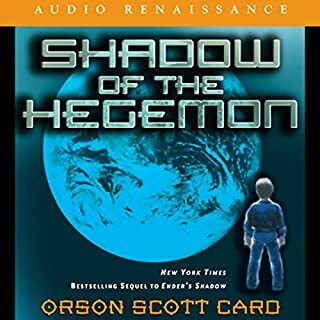 Where does Ender's Game Alive: The Full Cast Audioplay rank among all the audiobooks you’ve listened to so far? It's as good as any of those that I've given 5 stars to. What other book might you compare Ender's Game Alive: The Full Cast Audioplay to and why? The original Ender's Game, and the whole lot of the Ender's series. I've listened to them all as audiobooks, as long ago as I actually have some on cassette tape still! I was skeptical at first as many "full cast" recordings are not as good as the original books, if the originals are well read. I watched Card discussing how this recording would be different, if not better, than the original, so I decided to give it a shot. I really enjoyed that many of the original readers were used on this project as well. 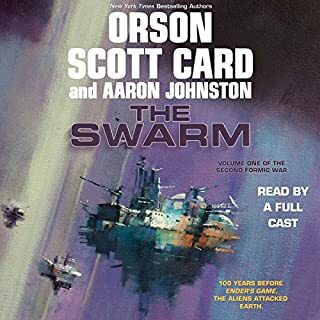 This was certainly the best full cast recording of a book I've listened to, and on a par with the other audio Ender books. It is just different enough to make it a worthwhile read, and I really am glad I listened to it. Which character – as performed by Full Cast Recording – was your favorite? 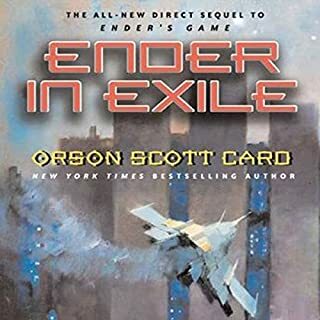 I appreciated the "old voices" from the other Ender books which I loved. If this is your first foray into the "Ender-verse", enjoy. If you are a long time reader/listener, I suspect you will enjoy this version as well. It was certainly worth using a credit on it. I'm glad I did experience it, and it's different enough from the original Ender's Game to keep one interested. For fans of the series, and those who have never encountered it before, this is a truly fantastic listen. I was a bit skeptical at first, as I don't always enjoy audio play versions of books I've enjoyed, but this? This was marvelous. There were some new additions that weren't there the first go through, but nothing so big as to completely change the story. The various actors involved did a fantastic job of, yes, bringing the story alive. This is very much worth a credit, even if only seven hours long. Although I really enjoyed this performance, I would only recommend it to those who have read or heard the original Ender's Game novel. liked it, and remember it. 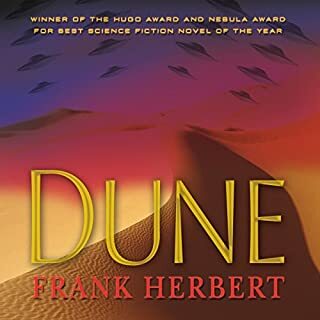 This version follows the basic plot fairly closely, but this is very much like listening to a long movie audio track - it's the story told with only dialog and sound effects. What you don't get it is OSC's wonderful prose with the symbolism woven through and the descriptions of the children, the battle school, the contests, etc. If you have read/heard the book and remember most of it, your brain will easily fill in the missing descriptions, but it wouldn't be as much fun without knowing the original story first. The original Ender's Game novel was entertaining and both poignant and thought-provoking. This Audioplay version is mostly entertaining - not as touching or provocative - but nothing wrong with that and I certainly don't regret the listen. As expected, the audio for this version is first-rate - nicely produced, great narrators, and good quality sound throughout. I had only one issue. Most of the children's voices are done by young adults and they sound alright for boys and girls who are 10 or 12 or older. 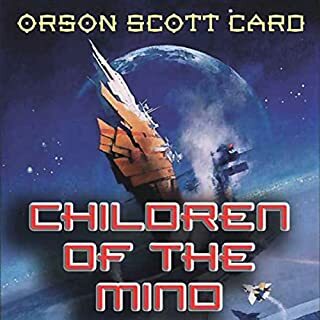 However many of the children in the book are only 8 and Ender is only 6 when the story begins and 11 at the end, yet in this Audioplay he sounds like he is at least a young teen throughout. It is hard to grasp the trauma done to that child when he doesn't sound like the really little kid he was in the story. Independent of how brilliant a child might be, a 6 year old will never sound like a teenager. The part of Bean is read by a women and she didn't sound quite right to me either. Minor issue with the casting was not enough to interfere with my real enjoyment of the Audioplay. Recommended to all Ender fans. 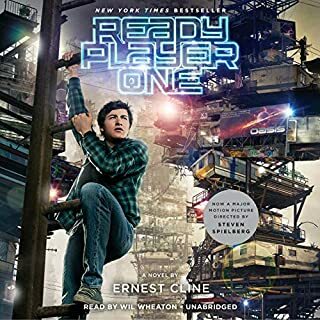 I listened to this after having heard the original book more than once, so maybe I'm biased, but this movie really felt like somebody just recorded the audio from a movie. Unlike the original story, you can't hear Ender's thoughts so you have the whole deal where everyone is trying to explain what's going on in his head without any personal insight. There's also slight tweaks to the story that I didn't care for much. I guess I should have foresaw these problems, but I kinda went into this expecting basically just the original story with more actors. The performance and sound effects were great though, so five stars there at least. It's not an audio book, it's theatre for the mind! I first read Ender's Game when I was a young man. 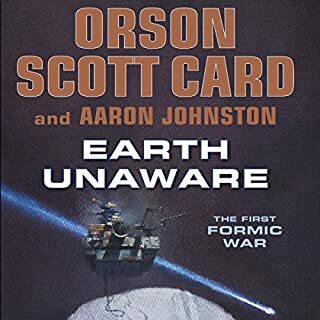 The original book and its sequels have always been one of my favorite Science Fiction adventures, and I was reluctant to listen to Ender's Game Alive, in fear of being disappointed by someone tinkering with near perfection. But I was wrong, really, really wrong. This production is amazing, the cast is superb. Although only 7 and 1/2 hours long, I was engrossed from the first chapter and happily relived the story of the little boy who had the fate of the world heaped upon his unsuspecting shoulders. The competition between Battle-School students, the rivalry between Ender and his brother Peter, the unbreakable bond between Ender and his sister Valentine, and most of all, the genius of Col. Graph, who is charged with molding Ender Wiggins into the one and only little boy soldier in the entire world who can save the Earth from certain destruction. If you have never read the book, read it first. The original is a masterpiece. But then, lie back and relax, listen as Ender Wiggins comes to life in the theatre of your mind. 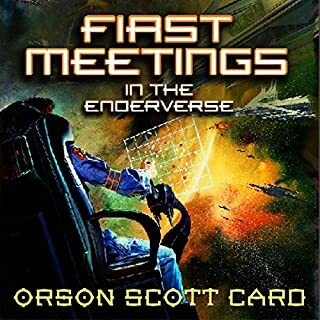 Before now, I have never read or listened to Orson Scott Card’s Ender’s Game epic. 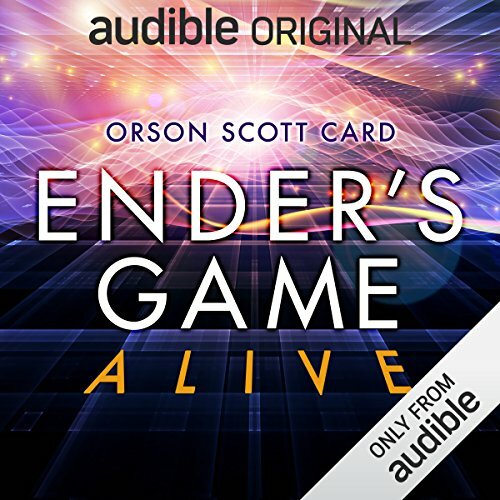 It is possible that I might never have done so, was it not for the hype created by Audible releasing the first three chapters of “Ender’s Game Alive” before the official release this full cast audio drama. It was while listening to the first free chapters that I got seriously hooked. 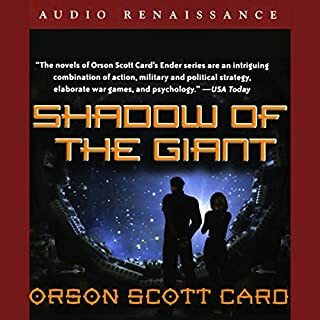 I understand that Orson Scott Card rewrote his original Ender’s Game into this audio drama. Performed by a full cast directed by Gabrielle de Cuir this is probably one of the best audio drama’s I have listened to. A good story coloured presented by an excellent voice cast and music specially adapted for this audio drama makes it not only a winner, it becomes an addiction. Be warned, you might not stop listening until the very end. This is one of the best audio drama’s I have ever heard. The storyline is very basic. The listener finds him-/herself in the Wiggin’s home on earth some years in the future. One is aware that something is amiss because married couples may only have two children. You become aware that the genetically engineered Peter and Valentine Wiggin’s parents are allowed to have a third child, because Peter and Valentine weren’t completely the right material to enter Battle School. Thus came about Andrew “Ender” Wiggin. All humankind’s hope seems to be fixed on him to free the human race from an extra-terrestrial threat called the Formics. To do so, however, Ender Wiggen is admitted to Battle School at the age of 6 years. 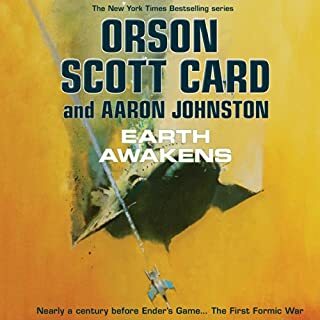 The audio drama is based on these formative years of Ender. What makes it very effective is the way the line between what is real and what is practise are blurred until almost the very end when the pieces of the puzzle falls in place. I thought it was done neatly and convincingly. This audio drama is an excellent suspense drama wrapped in a science fiction cloak. I believe that those who have enjoyed Ender’s Game in the past as well as those of us who are new to this science fiction classic will enjoy a five star performance of a five star story. This version has been edited from the original version and become more streamlined with some of the finer details cut. I am sure that some of the purist will be disappointed with the edits and cuts but overall I still found the book to be enjoyable. It was like listening to an old time radio broadcast of a play being performed. 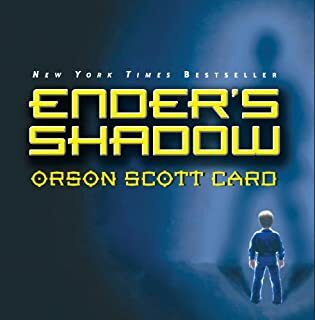 This is a classic by Orson Scott Card and is the first book in the Enders series. This was originally written as a standalone book but the author has gone back to expanded the universe. So if you enjoyed this one and would like to see what happens next there are several more books to follow this one. In Ender's Game humanity finds itself at war with space aliens that are basically giant bugs. I found myself forgetting at times how young the "soldiers" were. When Ender starts at the War School he is only 6 years old, but Ender and the other soldiers there are unlike any child you know. They are all genus children being trained to command an Army against hostile bugs. If you haven't read this one yet I would definitely pick this one up. Plus Hollywood is making a movie based on this book and is coming out soon. 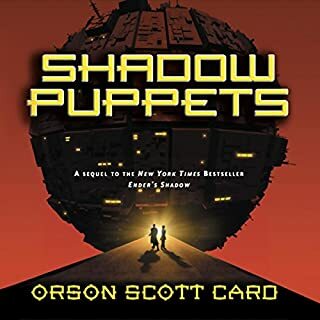 Would you try another book from Orson Scott Card and/or Full Cast Recording? I would jump at another Full Cast Recording, it was a stellar job in bringing the book to life as well as the welcome addition of a few sound effects that enhanced the experience. 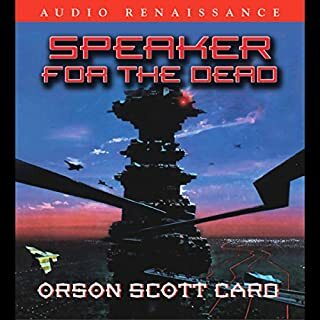 Orson Card has a very specific voice, and when he brings his style to a genre, you're either a fan, or not so much. Stefan Rudnicki has always sounded like a congested rabbi when he reads a book, but I will say I very much enjoyed him as part of a cast. Well done! Card added a few things here and there to "make this the best version of the book". As a book, I encourage people to read the kindle version first. As an e-book, please believe me that there is a reason it will give you a better experience than a hard copy. It also reads better in people's heads as they are exposed to these brilliant children and their oddly inconsistent dialogue. They are children, so there are the usual fart jokes, as well as geniuses, so their thought process is agreeable. I think Card did a disservice by holding a reader's hand a little too much and spelling things out in a key conversation between Ender and a teacher. In what was originally a beautiful twist and roller coaster type climax, his additions completely neutered the wow factor and limped across the finish line. I would not return to this book for fun, and I can only really recommend the sections of battle school and command school, the ending, at least in this version, I can almost skip entirely. Kindle this book first!